Lost in all of the hype coming into the 2009 NFL season was arguably the greatest NFL rivalry of the decade. Tom Brady and Peyton Manning have captivated the world over the last decade with their series of classic showdowns. The world will once again come to a stop as Tom Brady and Peyton Manning will headline NFL Week 10 with the marquee event of the regular season. The lack of hype for this game is amazing to me. In past seasons, the countdown for this game would have started in pre season. Unfortunately for these two teams, they have taken a backseat to the Brett Favre-Aaron Rodgers rivalry this season. On top of the great rivalry on paper, these teams always deliver. The word blowout or disappointment doesn’t exist with this rivalry. These teams always deliver and I would expect nothing less on Sunday night. In retrospect, this is the first time that these two teams have played at even strength in two years. The Indianapolis Colts won last year’s meeting, which didn’t include Tom Brady. Peyton Manning also came into last season at far less than 100% and some even speculate Peyton wasn’t healthy all season. Their last big game came in the New England Patriots 2007 historic season. Both teams came into the game at 7-0, yet the Pats won a tight game 24-20. This season, the Indianapolis Colts that come into the game with the lone undefeated record. The Colts and Pats have flown under the radar this season due to the success of the Broncos, Steelers, Vikings, and Saints. The slight difference here between these two teams is that the Pats struggled early, yet have been on fire for the last several weeks. The Colts rolled early, yet have struggled to close games the last few weeks. If I was going to read anything into this, I’d suggest that the Patriots may be a fresher team coming into Week 10 than the Colts. Believe the hype, this game has playoff implications. Unless the Colts fall apart, the only hope the Patriots have at home-field advantage throughout the playoffs is a win here. The Patriots don’t want to be playing here in January, and definitely don’t want to be playing in Denver or Pittsburgh. A loss here wouldn’t be the end of the world for the Colts, yet it would make their hopes for a home advantage in the playoffs a little more difficult. There aren’t any other regular season games with this much on the line in the AFC for the rest of the regular season. It is imperative that the Colts establish a running game. The Patriots can be run on, yet nobody has been able to take advantage of this in weeks. Not only can the Pats be run on, the Colts need to keep Tom Brady off of the field. At the same time, Laurence Maroney has really stepped up for the Pats this season. Maroney has scored in each of the last three games. In the end, I think the Colts are ripe to be had. I think the tough games the Colts have had recently will play a toll as this one gets down to the wire. I predict another classic showdown with the New England Patriots squeaking out a win in Indy. Another game with huge playoff implications features the Cincinnati Bengals and the Pittsburgh Steelers. Carson Palmer and Ben Roethlisberger had the chance to be another Brady-Manning rivalry, yet injuries and a terrible Bengals team have precluded this. Don’t blink now but the Bengals own the AFC North this season, and are 4-0 in the division. The wins include a huge Week 3 win at home against the Super Bowl champions. The Bengals won a very close one which featured Cedric Benson averaging 4.8 yards a carry against the number one rushing defense in the NFL. The Steelers showed a ton of moxy on Monday night coming back and beating the Denver Broncos on the road. I can’t think of many better come-from-behind quarterbacks currently in the NFL than Ben Roethlisberger. That guy is money! The Bengals seem to be getting better and better by the week. The defense of the Bengals had a field day last week against the Baltimore Ravens. The Bengals have the luxury of getting the Steelers on a short week. I think that is the difference here. I am tired of picking against the Bengals and eating crow on Monday morning. This week I am picking the Bengals! An intriguing game pits the Philadelphia Eagles traveling to San Diego to take on the Chargers. These are two of the most inconsistent teams in the NFL. The Chargers had a huge win last week in New York. Normally I would give the east coast a huge disadvantage for traveling west, but the chargers also had to travel from New York to San Diego. The game is also at 4:15 PM/EST which would be 1:15PM in Philly, not a big difference for the birds. Brian Westbrook is questionable which makes this a completely different game. I like the Eagles to strike early and take a win from the Chargers. Ah, remember those great Green Bay Packers-Dallas Cowboys rivalries? The Ice Bowl, Favre vs. Aikman, and now Tony Romo vs. Aaron Rogers becomes the story here. It was just a few years ago when these two teams looked like they were on a collision course to the NFC title game. I have arguments all of the time about Aaron Rodgers. 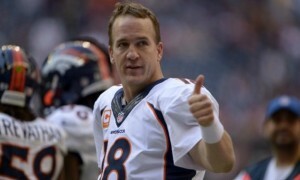 I think he is the most overrated quarterback in the NFL. 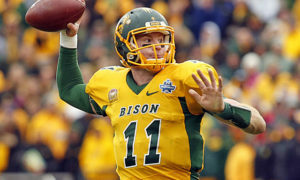 Taking a page from Rush Limbaugh, I think that the media has been very desirous that a Green Bay quarterback do well! The Cowboys are red hot, while the Packers continue to struggle. The Packers have no hopes at the playoffs with a loss here. I am going with the upset here and picking the Green Bay Packers. Quick Hits – Steve Slaton is on a bye week so his fantasy owners can prepare in advance for zero points. The Seahawks vs. the Cardinals is a real fascinating game considering that the Seahawks play better at home and the Cards play better on the road. The Carolina Panthers are getting hot at the wrong time for the Atlanta Falcons. The Minnesota Vikings continue their bye week with a game against the Detroit Lions. I would not be surprised at all by a Washington Redskins upset. The Baltimore Ravens finally get a break in the schedule this week against the Cleveland Browns. I look for the Wildcat to run wild on the Buccaneers on Sunday. Fantasy Fix – Ricky Williams. I try and give you the names that aren’t so obvious week-week and if you have followed my advice, you have had some bit hits this season. I gave you Vince Young and Steve Slaton (hey he scored) last week, yet unfortunately I gave you the Green Bay Packers which bit me hard. I gave you Ricky Williams two weeks ago against the Saints and people thought I was nuts. Once again, I love the Wildcat here. As I mentioned two weeks ago, NFC teams aren’t spending too much time worrying about an AFC team they will play once every three years. The Tampa Bay Buccaneers certainly didn’t spend countless weeks in the off season preparing for the Wildcat. Ricky Williams is the 11th ranked back in my fantasy league in total points, yet nobody ever writes much about him. He has six touchdowns on the year and get this…he has double-digit fantasy points against all of his NFC opponents this season. Plug in Ricky and feed the cat! Matthew Stafford – Here is a name that I haven’t suggested all season. Did you know that Stafford has had double-digit games since coming back from injury? Did you know that as impressive as the Minnesota Vikings are, the Vikings are one of the most susceptible passing defenses in the NFL? Minnesota gives up over 22% more points to ff quarterbacks than the average NFL team. The Vikings are the 21st overall team against the defense in the NFL. If I haven’t convinced you yet, did you know that the Vikings are horrendous against tight ends this season. Stafford and Brandon Pettigrew are getting into a groove at just the right time. I don’t expect an upset, but play Stafford if you need a quarterback and Pettigrew as well. Braylon Edwards – I really like his matchup this week against the Jacksonville Jaguars. The Jets also had a bye week last week, which gave Edwards and Mark Sanchez some time to work together. Last week was really the first time that Edwards has had a chance to take a breath since coming to New York. The Jags give up over 30% more points to wide receivers than the average NFL team. The Jags are 26th in the league against the pass and have given up 15 touchdowns in the air. Go with the Jet this week and Mark Sanchez if you need a quarterback. Jamaal Charles – Charles was a huge disappointment last week getting only six carries. Considering how many carries Larry Johnson would get per game, this was a terrible sign for owners looking to jump on the Charles bandwagon. Charles is in a three-back committee which is just death to fantasy football owners. However, Charles is playing the Oakland Raiders this week. As a Steve Slaton owner, I picked up Charles two weeks ago specifically for this game. The Raiders give up over 56% more fantasy points to running backs than the average NFL team. Charles could have a huge day here, however it all comes down to how much Todd Haley involves him in the game. It is a risky play but one that could turn out to be very productive for your fantasy team if he gets 15 or more carries.